DETAILS: These Personalized Holiday Coffee Mugs feature classic icons of the holiday season. The mugs are ceramic and are made to last years after years. 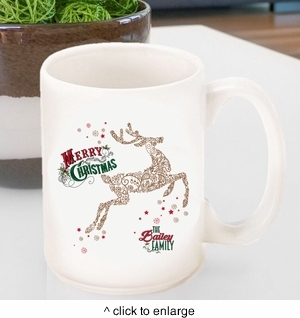 Enjoy you favorite hot beverage in this staple holiday item.